Huber Social measures social value and social impact using our online measurement and reporting platform and our global Wellbeing database. Our objective is to spread the use of our social impact measurement system worldwide, to maximise its impact on improving the Wellbeing of everyone. 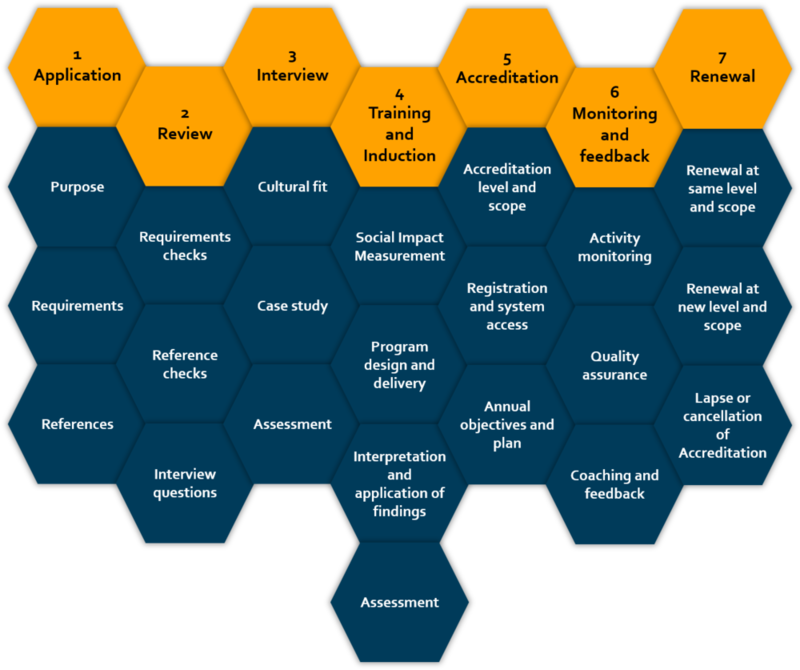 However, to maintain the integrity of our social impact measurement system, only accredited individuals may advise on its application and design and configure new measurement programs on the platform. Accreditation is only available for individuals and only Huber Social is authorised to provide accreditation. However, authorisation of other organisations to provide accreditation services is under development. Individuals may gain accreditation to use the Huber Social system within their own organisations or for use with external clients. Becoming a Huber Social Impact Consultant is a 5-step process. Application is made in writing using Huber Social’s application form below. Huber Social will review the application against the requirements and do any necessary verification before making an assessment as to whether the candidate will be interviewed. The purpose of the interview is to assess whether the candidate is likely to be a good fit with Huber Social in terms of ambitions, values, cultural fit, skills and experience. Huber Social runs 3-day residential accreditation training and assessment courses. The level and scope of the accreditation approved for each candidate is based on their competency assessment and other criteria related to domains in which they are able to apply this competency. Vision What is in the name?